John Steinbeck's The Grapes of Wrath (1939) is one of the most widely read American novels. Much has been written about the book, yet a number of recent critics have challenged its merits and questioned its place in the canon. The novel was published near the end of the Great Depression, yet its issues remain provocative and current, generating considerable critical debate. For all the novel's apparent simplicity, its deeper levels are often difficult to grasp, requiring distinct participatory demands on its readers. This reference is a comprehensive introduction to Steinbeck's masterpiece. An overview of Steinbeck's family life, reading, and personal experiences draws heavily on his letters and journals, illuminating his intentions. A detailed plot summary follows, along with an examination of the novel's genesis. The immediate social, cultural, and historical contexts surrounding the work, including the Dust Bowl, the Okie migration, and the Great Depression, are examined. 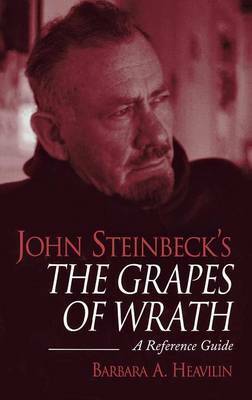 The novel's major themes and ideas are considered, followed by a revealing analysis of Steinbeck's narrative art. The guide closes with a survey of the novel's critical reception and a bibliographical essay.